Home / Opinion / Ednotes / Are you truly up on the news? Our decision to not publish a weekly issue on Dec. 25 means you had an extra week to prepare for the annual Rochester Business Journal local business news quiz. I truly hope you had many better things to do with your time! All of the following questions are drawn from articles published in our newspaper over the past 12 months. Among them are some quotes from the Quote of the Week feature that has been a fixture on the Opinion page since January 2003. As always, feel free to use the Archive at RBJdaily.com to improve your score. 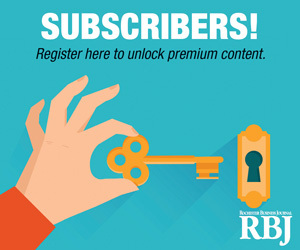 It has more than 20 years’ worth of RBJ articles and data—and it’s free. Each correct answer earns one point; a perfect score is 25 points. For the answers, click here. Good luck! 1. Which local firm was sold in a $1.9 billion deal? 2. Wegmans Food Markets Inc. announced plans to open a store in one of the nation’s largest cities. Which one? 3. Who was named to lead the Rochester-Monroe Anti-Poverty Initiative? 6. What popular summer sports event returned to downtown Rochester in August? 7. Who succeeded Peter Carpino as president and CEO of the United Way of Greater Rochester Inc.? 8. What hotel opened in downtown Rochester? 9. The city of Rochester picked the developer for the Charlotte Street redevelopment project. Which company was chosen? 10. Where did longtime employment leader Eastman Kodak Co. rank on the 2015 RBJ 75 list of the region’s top employers? 11. Lone Star Funds bought a locally based public company in a deal valued at roughly $7.6 billion. Name the local company. 12. Less than a year after buying SentrySafe, Master Lock Co. said it would close the local plant by next summer. Approximately how many workers will lose their jobs? 13. “To quote the Godfather, ‘It was all about respect.’ They respected our application; they respected the team we put together,” said University of Rochester president Joel Seligman. To what was he referring? 14. What Rochester Business Hall of Fame inductee celebrated his 100th birthday in 2015? 15. Where will the headquarters for the new American Institute for Manufacturing Integrated Photonics be located? 16. What leading Rochester cultural attraction adopted a new name? 18. Who was named to succeed ESL Federal Credit Union CEO David Fielder? 19. Beset by controversy, Bausch & Lomb Inc. parent Valeant Pharmaceuticals International Inc. saw its stock plunge from a high of $264 a share in August. How low did it go—$132, $64 or $32 a share? 20. Sweetwater Energy Inc. signed a conditional lease to build a $53 million biochemical facility in this region. Where would it be located? 22. One of the area’s oldest law firms closed. Name the firm. 23. Who has accumulated more than 7 percent of Xerox Corp.’s stock? 24. The Finger Lakes region was named one of three $500 million winners of the Upstate Revitalization Initiative competition. Over what period will the funds be distributed? 1/4/16 (c) 2016 Rochester Business Journal. To obtain permission to reprint this article, call 585-546-8303 or email rbj@rbj.net.